Kitchen Cabinets Saskatoon | Local Pages | Merit Kitchens Ltd. Whether you’re building a new home or contemplating a renovation, ensuring you are well equipped with the right knowledge will help guide you through the process. Knowing what type of style you want to incorporate is a good start. Do you like traditional styling, or favour a design with a modern flair? What type of material do you want your countertops and doors to be made from? What is your financial flexibility, or do you have budget expectations? When you choose Merit Kitchens, you’ll be able to rest easy knowing that you won’t have to compromise style and value to attain some of the best kitchen cabinets Saskatoon has to offer! You’ll also be able to relax knowing that your questions will be answered throughout your renovation process. Merit Kitchens has grown from its humble roots as a small cabinet manufacturer to a North American distributor employing a large team of talented individuals. We’re proud to build for your home the best kitchen cabinets Saskatoon can offer. 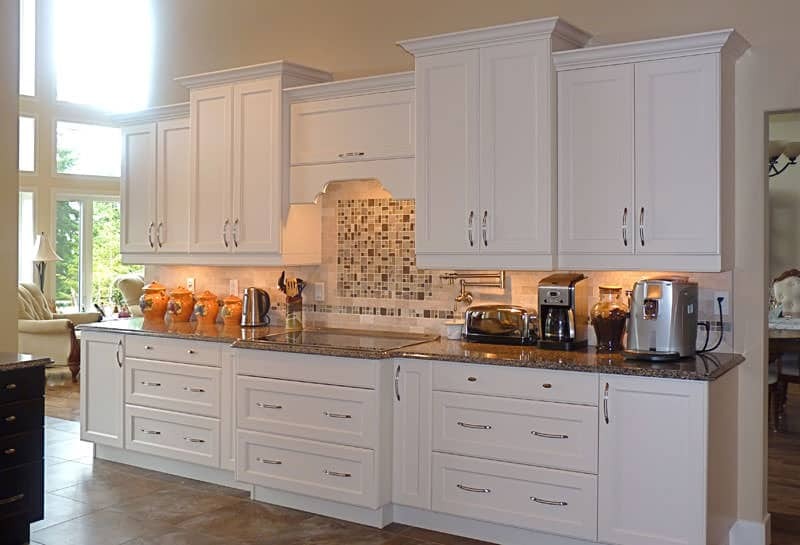 We provide an extensive selection of kitchen cabinet styles. Click here to view our product catalogue. If you have a design that you have created yourself, we can build it for you. All you need to do is submit your plans and measurements, and we’ll bring it to life! We use only high grade materials. Additionally, we offer environmentally friendly products. If you’re worried about cost, you can breathe a sigh of relief. We have products to accommodate many budgets! We’re so confident in our ability to create your dream kitchen, all of our kitchen cabinets come with a limited lifetime warranty, giving you peace of mind and confidence in our ability to manufacture the best kitchen cabinets in Saskatoon!